“Float like a butterfly, sting like a bee” was first uttered by Muhammad Ali in 1964 before a fight with Sonny Liston. Ali wasn’t supposed to live through the match but refused to back down. He even added, “the hands can’t hit what the eyes can’t see.” Not many athletes have ever backed up their words with as much fame and success as Ali did. 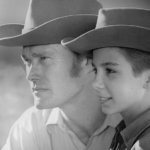 Of course, his life story is more than just a quote, and if you want the full story, this article has it all. Earning six million dollars for a fight that almost cost Muhammad Ali both his legs might not have been worth it. The 1976 bout saw Ali take on Antonio Inoki, a professional wrestler from Japan. Inoki refused to give the Ali a fair fight, instead, laying on the ground and kicking at his legs. 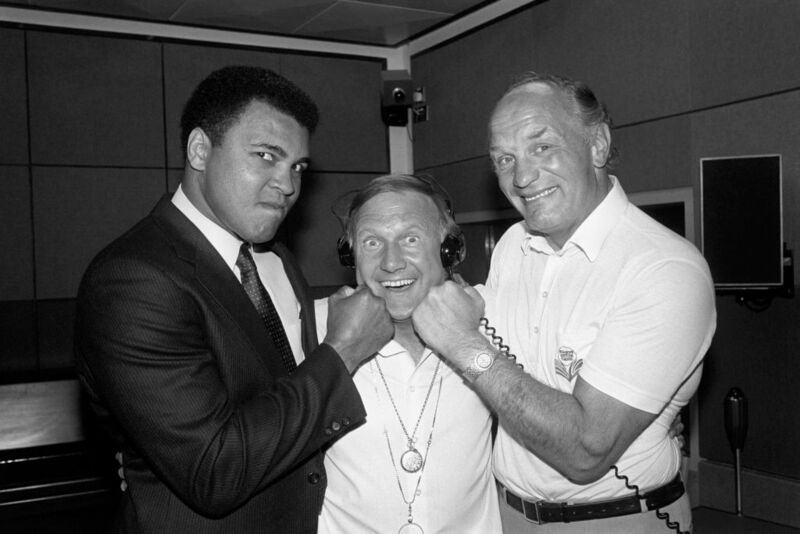 Growing up, Ali idolized Gorgeous George, an in your face wrestler who was the face of the sport’s golden era. George retired in 1962, two years before Ali unleashed his own “in your face” attitude before fighting Sonny Liston. Throughout his career, Ali was verbally abusive to his opponents and arrogant about his own dominance. He once said, “Last week I murdered a rock, injured a stone, hospitalized a brick. I’m so mean I make medicine sick.” Next, was his anger the reason he changed his name from Cassius Clay Jr.? Cassius Clay Jr. was born January 17, 1942. He began boxing in Kentucky when he was 12-years-old and won a light heavyweight Gold medal at the 1960 Summer Olympics. Four years later he fought Sonny Liston and won the WBC, WBA, and lineal heavyweight titles. After establishing himself as the greatest boxer in the world, Clay Jr. converted to Islam and rejected his “slave name.” He renamed himself Cassius X before fully converting and becoming Muhammad Ali. 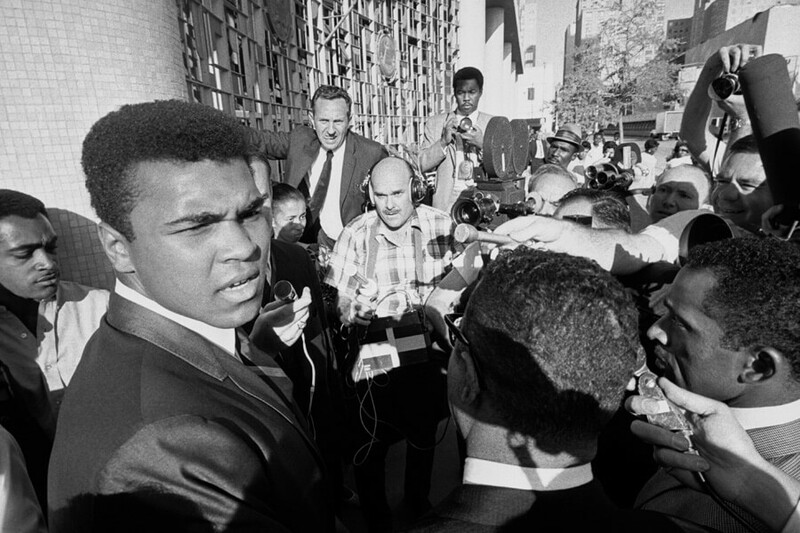 Ahead, his career as Muhammad Ali almost came to end when he was arrested for draft dodging. When the Vietnam War began, Muhammad Ali was arrested for refusing to enlist. For four years in his prime (25-29), he was suspended from the ring while his case went through the Supreme Court. Suddenly, Ali was public enemy number one in the United States. 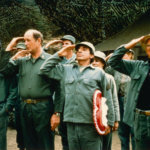 The tides turned near the end of the war when it lost public support. Ali became one of the major voices of the anti-war movement and spoke at several colleges. He questioned why America was at war. “My conscience won’t let me go shoot my brother, or some darker people, or some poor, hungry people in the mud.” Next up, his starring role in a Broadway musical. 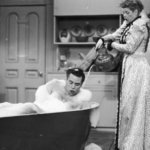 One year into his suspension from boxing, Muhammad Ali did something no one expected; he starred in a musical on Broadway. Buck White ran for one week in 1969 and was about a black militant speaking to a black power political group. The music was written by Oscar Brown, Jr.
Ali went all-out to promote the show. 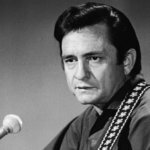 He appeared on the Ed Sullivan Show and performed a song. Unfortunately, critics were not kind. The New York Times proudly boasted, “this is a pity” although they said Ali performed with “dignity.” His acting career didn’t go far once a loophole allowed him to fight again. 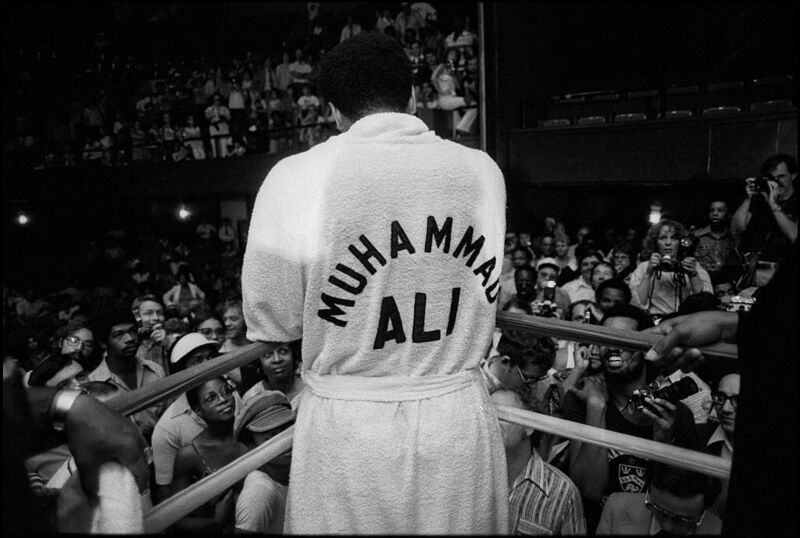 Muhammad Ali returned to the ring in 1970 after the city of Atlanta granted him a new boxing license. There was no organized boxing commission in Georgia at the time, a loophole Ali was more than willing to take advantage of. His glorious return saw him face Jerry Quarry. Ali let the fight drag on for three round before knocking out Quarry for the win. A national boxing commission, The Association of Boxing Commissions and Combative Sports, was founded in the 1980s. Smith was finally convinced after director Michael Mann sat down with him and laid out what he prepared for the role. The film Ali was released in 2002 to lukewarm reviews. 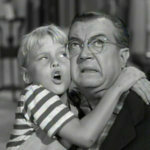 Of course, long before he became a movie, he fought Superman in one of the most famous real life crossovers of all-time! More than a decade into his career, Ali jumped from the ring to the page, challenging the Man of Steel to a fight to save the planet from aliens. The ridiculous plot has aliens threatening to destroy Earth unless the planet’s greatest fighter can beat them in the ring. Ali challenges Superman to a fight to prove he should represent the planet and wins. He then goes on to beat the aliens and Earth is saved. Superman vs. Muhammad Ali was published in 1978 and, thankfully, has not been turned into a live-action film… yet. 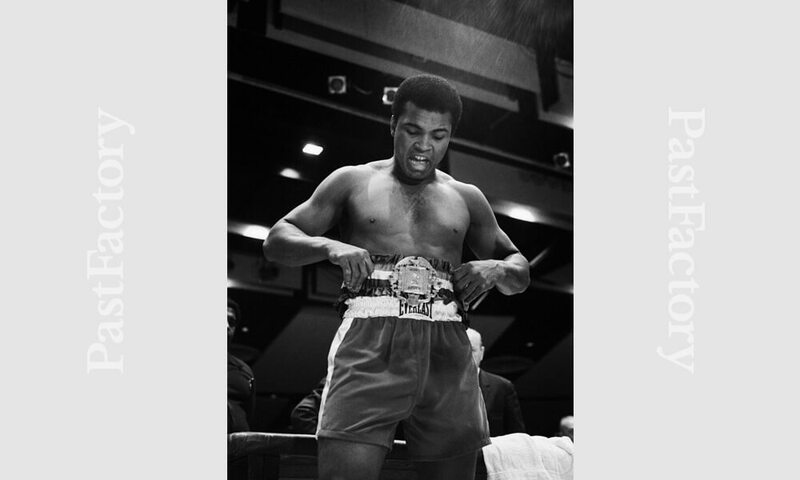 From 1974 until 1978, Muhammad Ali held the title as “universal” world heavyweight champion. The four-year run is the third longest in history. Rocky Marciano held the title from 1952 until 1956 and Joe Louis reigned supreme from 1937 until 1949! There’s a reason Ali once said, “it’s hard to be humble when you’re as great as I am.” Not only does he hold the third longest run in history, the names of opponents he defeated, including Joe Frazier and Sonny Liston, shows he could do more than just “talk the talk.” Now that you know what Ali did in his career, it’s time to learn why he became a boxer in the first place. 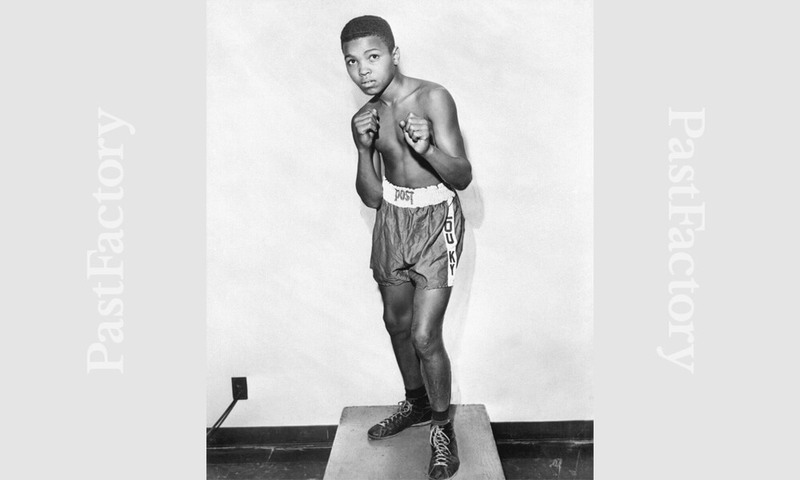 In 1954, a 12-year-old Cassius Clay Jr. had his worst nightmare happen; someone in the neighborhood stole his bicycle. He reported the theft to police officer Joe Martin in Kentucky, but also promised to “pummel the culprit.” Martin told the young man he should take up boxing to learn to fight. As it turned out, Martin trained boxers when he wasn’t patrolling the streets. He took Clay Jr. under his wing and taught him everything he knew about boxing. 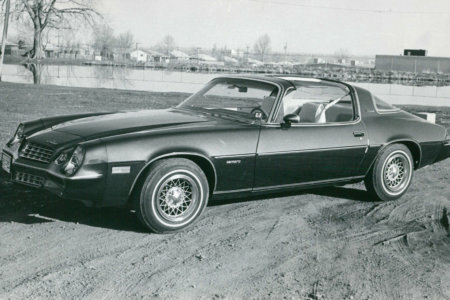 A few weeks later, Clay Jr. won his first boxing match in a split decision. Ali’s father, Cassius Clay Sr., was named after Cassius Marcellus Clay, a 19th-century abolitionist who helped emancipate over 40 slaves inherited from his dad. 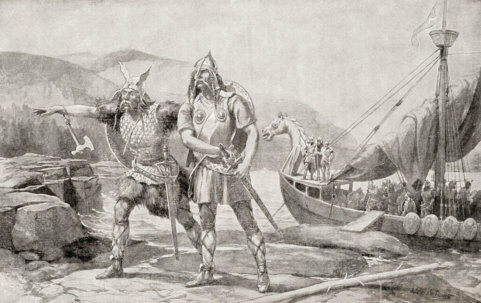 During his life, he was beaten, shot, and stabbed by political enemies. Despite this, he lived to 92-years-old! 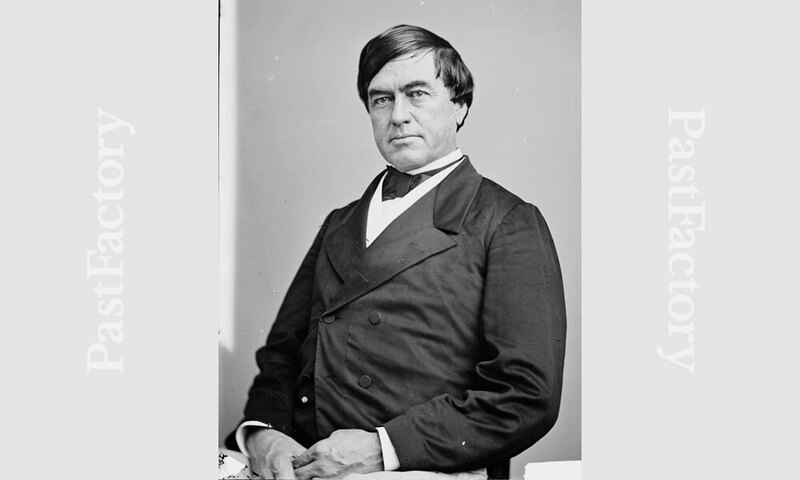 During his life, Cassius Marcellus Clay commanded troops in the Mexican-American War, was a minister to Russia under President Abraham Lincoln, and edited an anti-slavery newspaper. 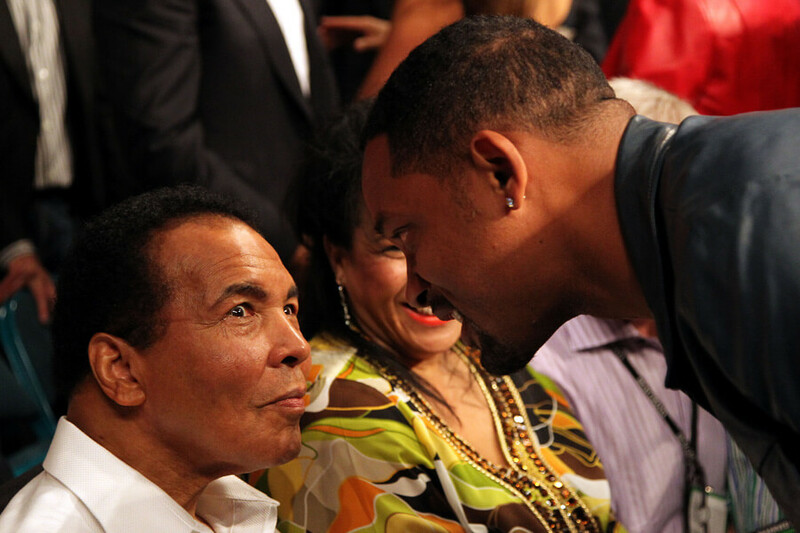 Coming up, did you know Ali has Irish roots? Abe Grady, Muhammad Ali’s great-grandfather, emigrated to the United States from Ireland in 1860. He settles in Kentucky, where he met and married a freed slave. His granddaughter, Odessa Lee Grady Clay was born in 1917 and married Cassius Clay Sr. in 1933. Given Ali’s gift of gab, it should come as no surprise there’s a bit of Irish in his blood. 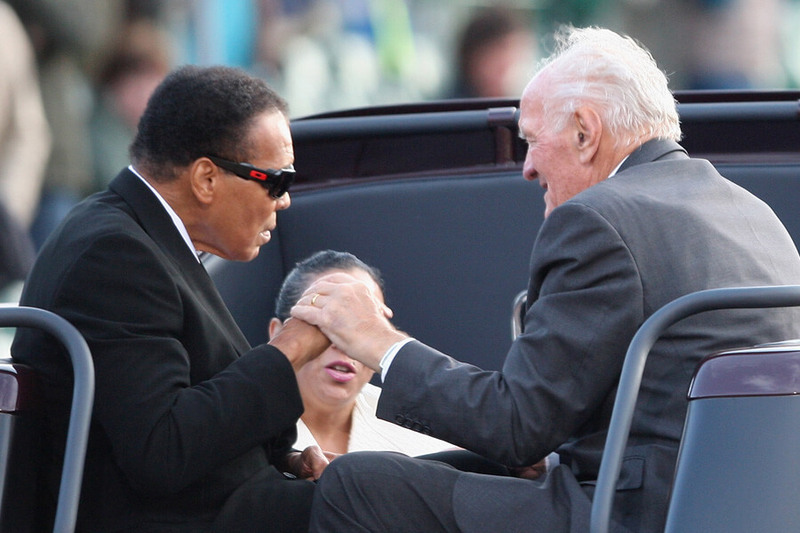 In 2009, Ali visited Ennis, Ireland and met members of his extended family. 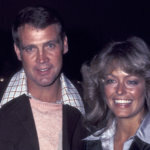 Despite the story, Ali’s Irish roots have been disputed, with one researcher believing Grady was born in the United States. Zaire’s president at the time paid Ali and Foreman five million dollars each to come to his country and fight. Because American audiences wanted to watch the fight in primetime, though, it was held early in the morning to accommodate. Ali won the fight in eight rounds and regained the title he lost seven years earlier. 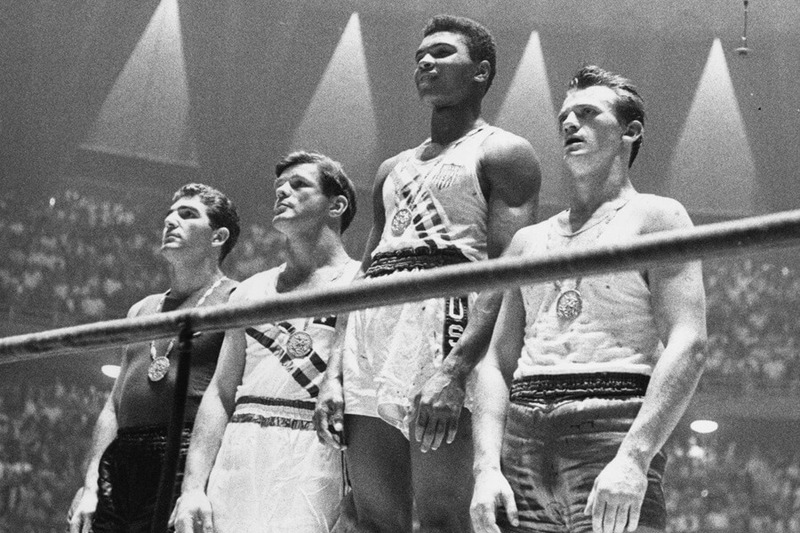 Fifteen years after winning a gold medal at the 1960 Olympic games, Muhammad Ali threw his prize into the Ohio River. Why did he do it? The claim is he did it to protest racism still happening in Ohio at the time. Some have disputed this claim, arguing he simply lost the medal and made up the story to not look foolish. At the 1996 Olympics, Ali was honored with lighting the cauldron to officially start the games. He received a replacement medal as a token of respect. 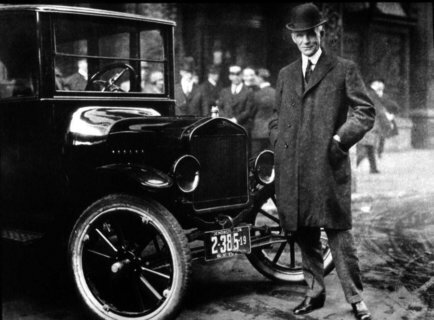 To this day, the original gold medal has never been found. Next, learn just how badly people thought he’d get beat by Sonny Liston in 1971. Sonny Liston was one of the most dominant boxers of his time. Considered one of the fiercest and most aggressive fighters, several titleholders at the time refused to fight him. When it was announced Ali would fight Liston for the title in 1964, no one took the fight seriously. 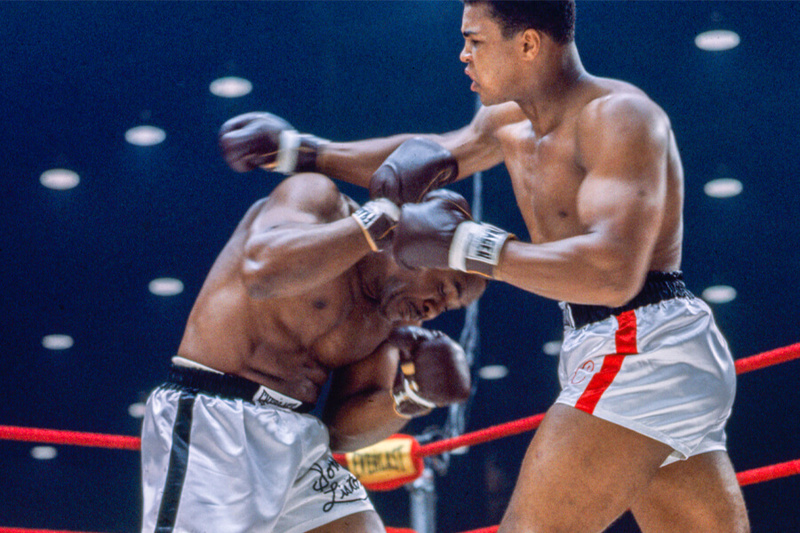 Ali was given seven to one odds at beating Liston. Of 46 analysts polled, 43 picked Liston to win. Few expected the fight to last more than one round. 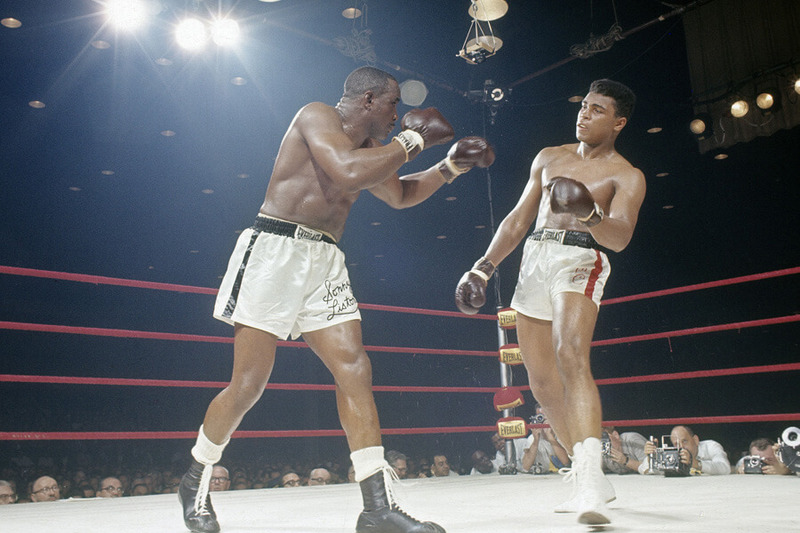 No one expected Liston to forfeit before the start of the seventh round after being dominated in the sixth. GOAT: A Tribute To Muhammad Ali is the definition of a collector’s item. The hefty book weighs 75-pounds. It’s covered in Louis Vuitton leather and silk. There are more than 790 pages and 3,000 pictures. When it was released in 2004, the first 1,000 copies were signed by Ali and sold for $7,500. 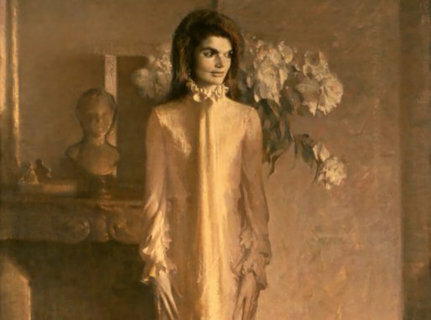 The rest of the limited print was priced at $3,000. No new copies of the book have been made available and there are no plans to release cheaper, more humble version. That makes sense considering Muhammad Ali was anything but humble. 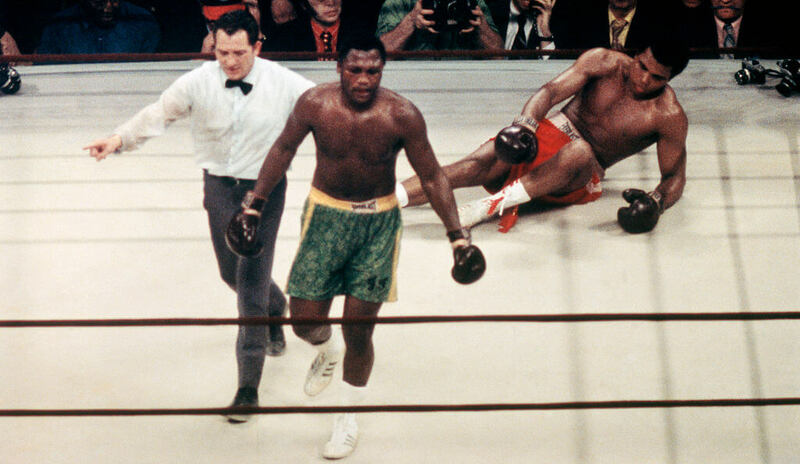 Billed as the “Fight of the Century,” Joe Frazier and Muhammad Ali fought for the first time in 1971. Both fighters were undefeated at the time. The massive event was held at Madison Square Garden and was watched by a record audience of 300 million worldwide. The epic fight lasted 15 rounds. 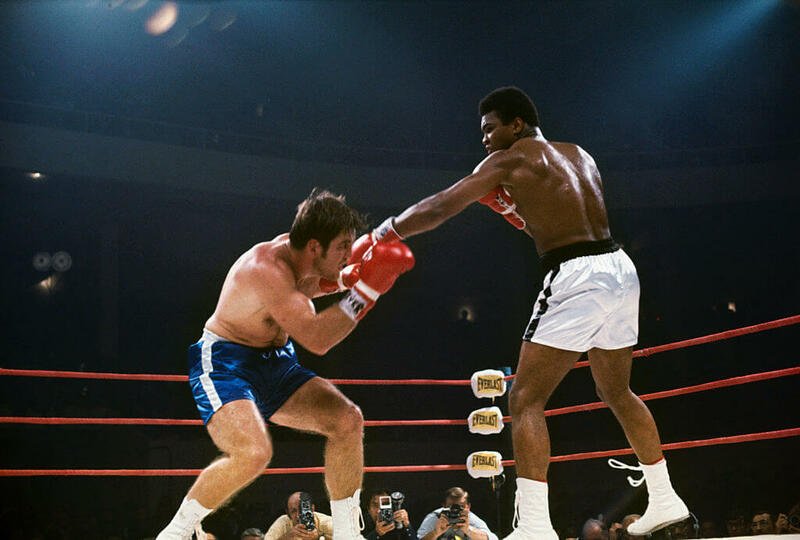 Frazier won with by a unanimous decision, handing Ali his first professional loss. The two would fight again in 1974 and 1975. 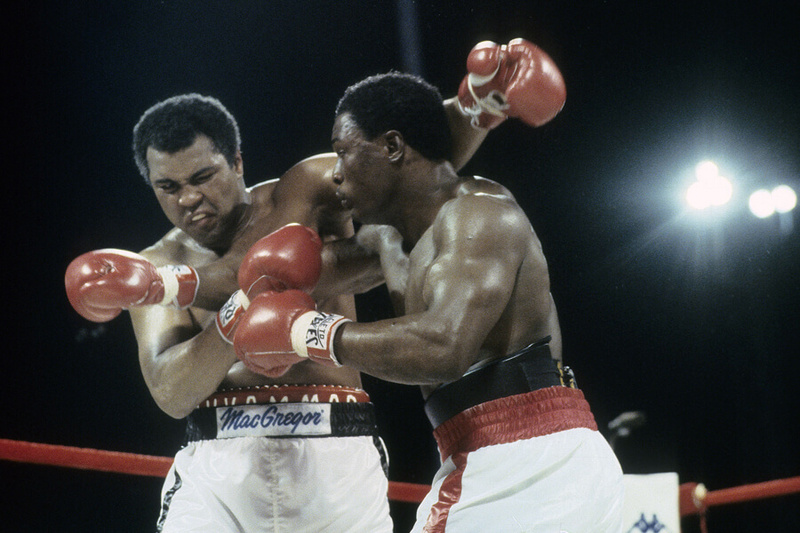 Dubbed “Super Fight II” and the “Thrilla in Manilla,” Ali won both times. Unfortunately, his last fight would not be filled with glory. 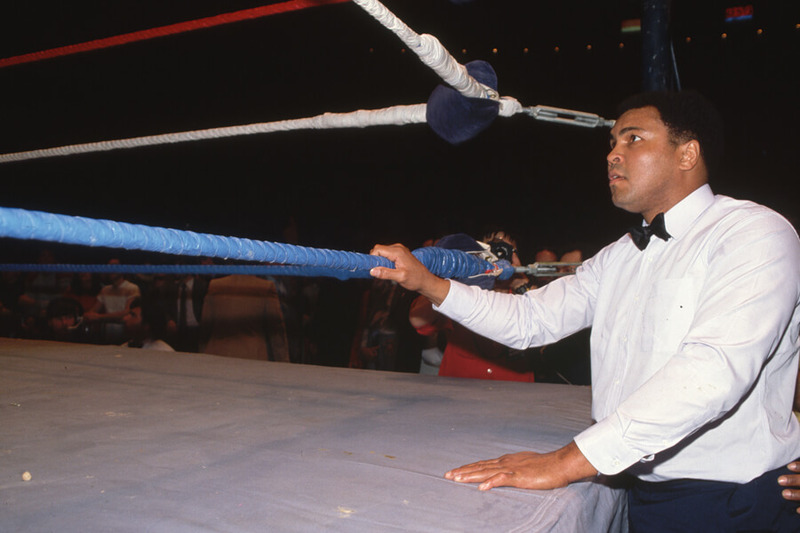 Muhammad Ali entered the ring one last time in 1981, facing Trevor Berbick in a matched named, “Drama in Bahama.” Ali was 39-years-old and had un-retired one year prior to fight Larry Holmes. 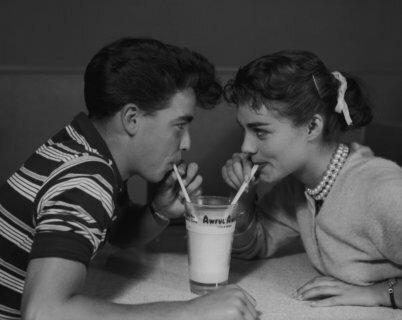 Berbick was 27-years-old. 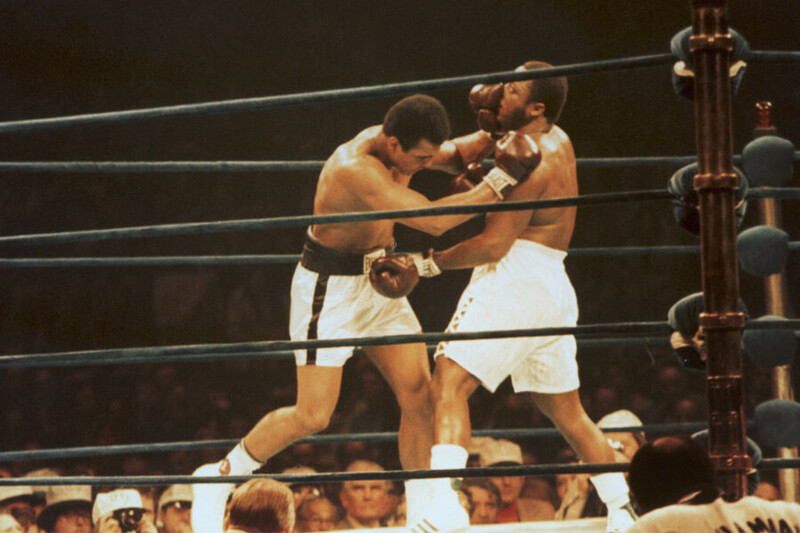 The fight took place in the Bahama’s after no American doctor would grant Ali medical clearance. Berbick took Ali the distance and won the fight by a split decision. What should have been a big deal ended up being a dud. No American television station attempted to air the fight, and only 7,500 people showed up to watch. After a fantastic career, Muhammad Ali went out with a whimper. During his 1980 fight with Larry Holmes, Muhammad Ali found it difficult to hide his symptoms of Parkinson’s disease from the public. He came out of retirement for the fight after being promised eight million dollars. Three years later he came out publicly as suffering the from the disease. 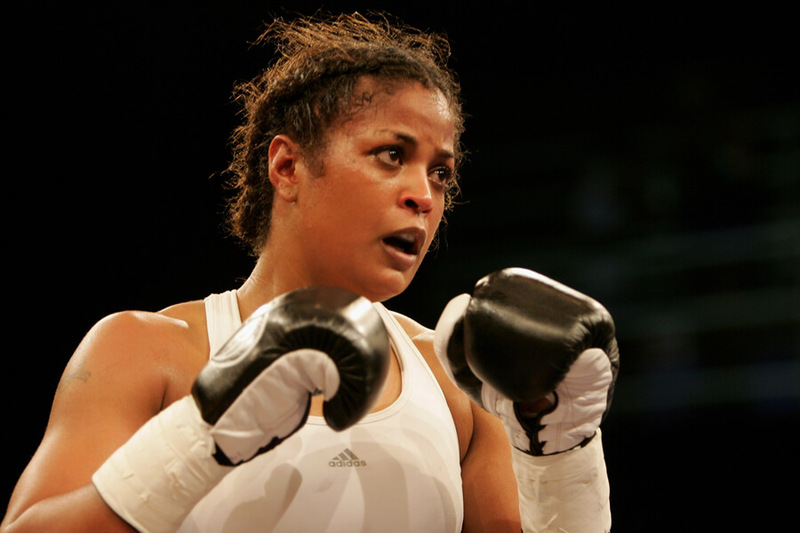 Laila Ali decided to follow in her father’s footsteps and pursue boxing. 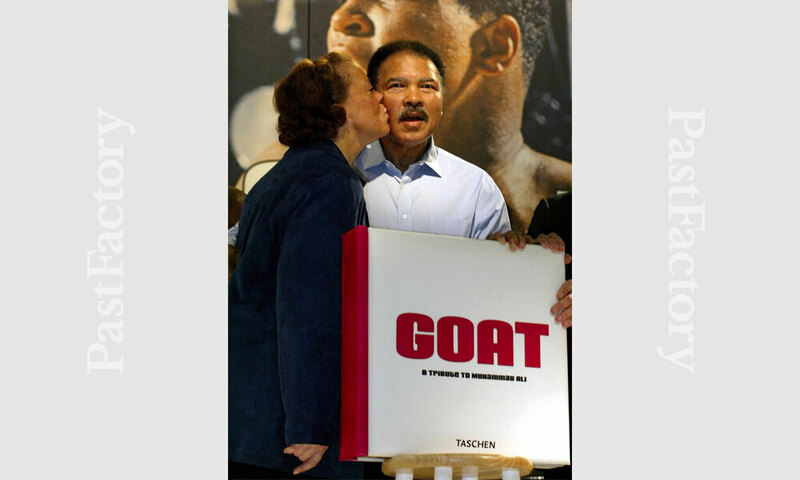 During her illustrious career, she went 24-0, clearly inheriting her father’s special gifts. If Muhammad Ali had his way, she never would have entered the ring, though.